As news of the Philadelphia Parking Authority’s crackdown on Uber X drivers illegally operating in the city began trickling out this weekend, it seems that the only people who weren’t notified of the PPA’s intentions were the drivers themselves. 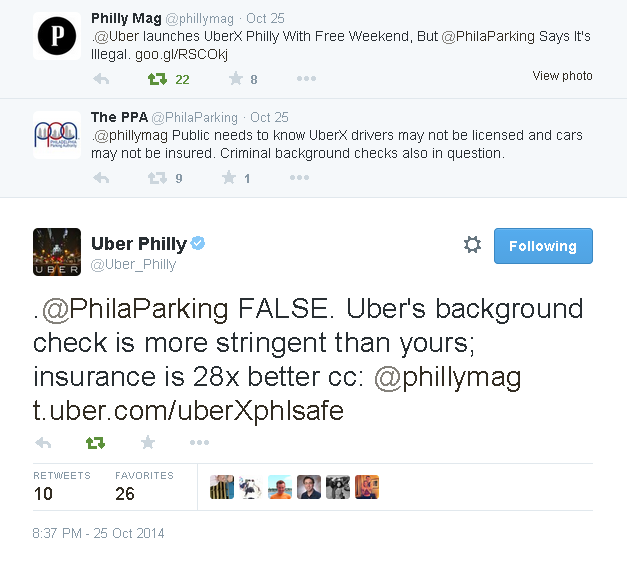 The battle between the Parking Authority and Uber spilled onto social media following the sting, with Uber Philly’s twitter account rebuffing the PPA’s tweets questioning the insurance and vetting of the company’s drivers. The Declaration on Sunday decided to speak directly to an Uber employee in an effort to hear his perspective on the PPA’s weekend stings, in which five drivers’ cars were impounded, and fines of $1,000 levied against each. After approximately 20 minutes of uncertainty as to whether our car would arrive, a driver’s name – complete with tag number, his car’s make and model, and a customer rating of 4.8. 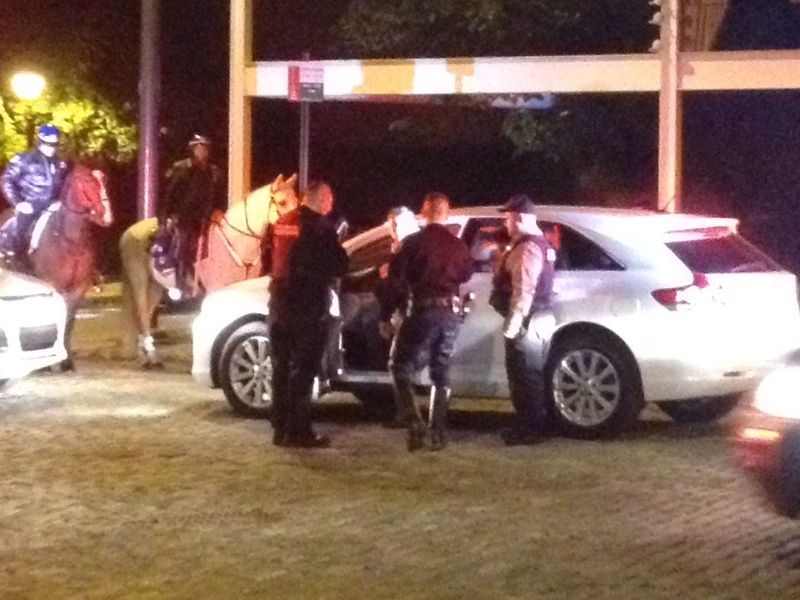 – appeared on the Uber app map, and in less than 10 minutes our driver arrived in a late model 4-door sedan. The driver, who agreed to speak to us for our ride from west of Rittenhouse Square to Old City on the condition that we withhold his identity, seemed unconcerned with his dubious legal operating status. This observation became less puzzling when we learned that not only was he unaware of last night’s sting, but had received no communication from Uber regarding the PPA’s threat to impound Uber drivers’ vehicles. “I mean, I heard about it in the news,” he said. “What we were told was that Center City is ‘open’,” he told us when asked what Uber had said to drivers about the Parking Authority’s position on the company’s operation in the city. This is consistent with the account of a senior PPA official to Philly Mag regarding two drivers caught in Saturday’s sting. “They both had the same exact story that they were told it was legal and that everything would be fine,” said the official. In response to The Declaration’s emailed questions about what notifications, if any, were given to drivers about what to expect from the Philadelphia Parking Authority, Taylor Bennett, Communications Lead for Uber’s East North America division, forwarded an earlier press release regarding the PPA’s sting. Emailed again for clarification, Uber has so far declined to answer any specific questions about what was told to its Philadelphia contractors.